This is something (almost autobiographical in nature) I wrote in the early morning, after an accident that roused me from sleep. It’s mostly about fear: an attempt to describe it for those lucky enough to not feel it follow them around like I do, and how it feels in those moments when I can’t suppress it. The girl steps into the shower, the door sliding shut with a soft thud behind her. She blows out a breath, shaky and uncertain, and twists the first knob to unleash the torrent of water from above. The water is supposed to strip everything away: not just dirt and dust but guilt, shame, fear – all sloughing off of her body and disappearing down the drain with the water. This is where she is safe. It’s the first day of Crohn’s and Colitis Awareness Week – happy #PurpleFriday to you all, and I hope you’re doing well – or if you’re not, that you’re doing as well as you can be right now. I’m hoping to publish one post per day for the entirety of this week. We’ll see how it goes – but to kick-start the process, I thought I’d make it a long one, and share something I’ve never written about in full before: my diagnosis story. Humira Update: 10 weeks in! November 24, 2017 October 17, 2018 by Emma @ Quite Gutsy3 Comments on Humira Update: 10 weeks in! It’s Friday! Like every Friday, I’m in a better mood than I have been all week. Today, though, there was an extra spring in my step, because (just like I have every fortnight for the last 10 weeks) I had my Humira shot. And it dawned on me that I’ve gone so long without writing a real blog post – so why not update you on how it’s going so far? Hi, my name’s Emma, and I’m kind of a hypocrite. No, wait. Scratch that. Definitely a hypocrite. I’ve not been having a very good week so far. Monday night saw me eating some Co-Op chunky chips for dinner, and Tuesday morning caught me totally off guard by presenting me with… a partial bowel obstruction. From chips. So I spent the day utterly useless, on my bed, writhing in pain, and tearful because – of course! – the one item I’d forgotten to bring back to university was a hot water bottle, that is, the only item that could have helped me. I am having quite a hard day. There’s not really any single thing making it hard. I woke up at a fairly normal time, spent my customary hour in the bathroom, and then had my usual post-ablutions snooze. Yes, really, the exhaustion is so real that something as simple as emptying my bowels (wow, talk about clinical vocabulary) and taking a shower takes ALL of the energy out of me!! Hi, I’m Emma! 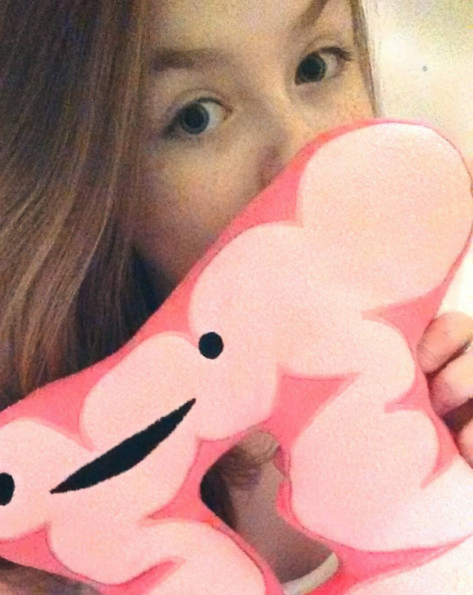 I’m 20 and I’ve been living with Crohn’s disease for 11 years. I started this blog to archive some of my deeper thoughts, and provide another perspective on life with a chronic illness. But I also blog about books, baking and being myself in general. Enjoy your stay!